Our bestselling mobile unit at a low price! 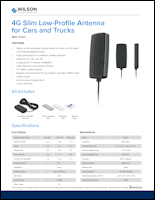 weBoost’s most powerful 4G commercial-grade cell phone signal booster for vehicles. Boosts 4G LTE and 3G service for voice, text, and data. Works with all major U.S. carriers and networks. Boosts cell signal for multiple users simultaneously. 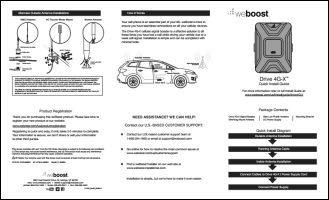 The weBoost Drive 4G‑X cell phone signal booster has been designed to provide maximum power for the best possible cellular reception on the road. Stay connected longer with the strongest cell signal, and experience fewer dropped calls, undelivered texts, and missed email messages. Keep your data moving faster in areas with weak cell service, obstructions, and long distances from cell phone towers. Who is the weBoost Drive 4G‑X MAX for? When having a usable cell phone signal in your car isn’t a luxury, it’s a critical necessity. Emergency responders (police, sheriff, fire, EMT, etc.). Field service technicians (oil, gas, agriculture, etc.). Taxi, limo, and shuttle service drivers. Government agencies (Forest Service, FBI, executive and legislative staff, military, etc.). Anyone who needs the best, most reliable cell phone connectivity on the road. What is a refurbished weBoost system? weBoost refurbished cell signal booster kits were purchased by customers who returned them to the manufacturer. They may have been used briefly or may not have been used at all. weBoost has inspected and tested each cell signal booster to ensure that it’s in good working order. Any damaged or non-working components have been replaced with new, working ones. The booster or its components may have cosmetic blemishes from a previous installation. weBoost refurbished units are backed by the manufacturer’s 30-day money-back guarantee and are warranted for one year against defects in workmanship and/or materials. Have more questions about refurbished boosters? 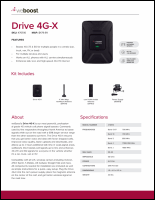 Using Wilson Electronics’ patented SmarTech III® technology, the Drive 4G‑X MAX receives the outside cell signal, amplifies it, and rebroadcasts it inside your vehicle. This allows you to travel farther away from cell towers while staying connected. The weBoost Drive 4G‑X MAX works with all major wireless carriers, including Verizon, AT&T, T‑Mobile, Sprint, U.S. Cellular, and most others. It operates on common 4G/3G cellular frequencies. 700 MHz (SMH) bands 12, 13, 17. 850 MHz (Cellular 850) band 5. 1700/2100 MHz (AWS) band 4. 1900 MHz (PCS) bands 2, 25. 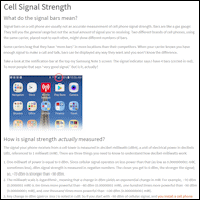 What’s my actual cell signal strength? For information on federal rules governing the use of consumer cell signal boosters, please see our FCC notice page. 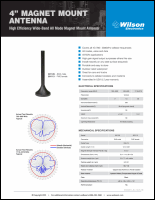 For warranty information on this product, please see our weBoost warranty information page.